Kirk and Chelsea Cameron describe what has made their “Hollywood marriage” work. Editor’s Note: Kirk and Chelsea Cameron met while filming the 1980s sitcom, Growing Pains. Both had been believers in Jesus Christ for about a year; they fell in love and got married. Later they appeared in the Left Behind Series and the movie Fireproof. Although Hollywood has a reputation for being hard on marriages, somehow Kirk and Chelsea have been married for almost 20 years. But like couples in and out of Hollywood, their relationship has had many ups and downs. 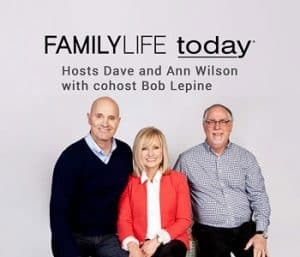 This article is adapted from the Camerons’ message during FamilyLife’s recent Love Like You Mean It marriage cruise. Kirk: Hollywood has a horrible reputation with marriage. How many times do you hear of a couple who hangs in there and stays together? It seems like a very unlikely place for two people to find one another, share a love for Jesus Christ, and make a marriage that will work and be strong and healthy. Fortunately God doesn’t play by chances. He had different plans for us. Chelsea: Kirk and I moved intentionally away from Hollywood. We thought it would be good for our marriage just to get away from the heart of all of that. We quickly learned that our problems had very little to do with location. The problem was our own pride and that sense of “Don’t tell me what to do,” and “Don’t criticize me,” and “How dare you do that?” And the problem was my focus on Kirk and what he should be and what he promised he would be … and my refusal to look at what I was called to be regardless of who he is. Kirk: When Chelsea and I first met … I vowed in my heart that I would never, ever break her heart. But I began to neglect my wife and my kids. I began to focus my time and my attention and my affections on ministry rather than where it should have been. I would travel around and speak at this church and that church and I felt like I was a hero—I was the guy from Hollywood who had become a Christian and was talking about the Lord and about marriage. I felt like I could do no wrong and was hitting home runs right and left, and yet at home my wife’s heart was being broken and our trust and relationship was being damaged. Chelsea: I started keeping a record of how Kirk had wronged me and had a list of the majors and the minors. It was like a wall came up between us because he had hurt me. And I knew if I did not figure this out, we were not going to finish. I started to learn that I could not change Kirk. Only God changes people and we sometimes spend a lifetime trying to change and control another person.There is only one person you can control and that’s yourself. I remember praying through tears and just saying, Lord, I don’t really know how to do this! I needed to stop praying for a new husband and start asking God to change me so that I could give my husband a new me. I started listening to pastors and teachers and mentors and I just started on this journey of, What is this all supposed to be anyway, this thing called marriage? Dr. McDonald described forgiveness to me in a way that changed my life. Because you know, you can be told to do something, but you don’t know how to do it. He said there are two parts of forgiveness. The first is a crisis of decision. It’s basically, Lord you have forgiven me of so much in my life, every day in my life. I need to let this go. I need to forgive like you forgive. I need to lay this at the cross. He said to release the one who hurt you from the obligation that occurred when you were hurt. You just lay it at the cross. There is only one way out of that dark hall and it’s through forgiveness. And then there’s the process of living it out. You say, Lord, now I’ve failed you. I gave this to You. I’ve let it go. Take this from me and help me to show forth love. Help me to forgive like You. It’s that process of going to the cross. As you do, you are reminded of what you are forgiven of. Forgiveness is not picking through the circumstances. It’s not keeping that one hurt in your back pocket. It’s being able to say, Lord I want to be like You. Create in me a clean heart. Renew a right spirit in me. I’ve learned that when you do that, the joy and blessings start to flow back into your home. This would even show up in my ability to smile. It seems so small, but relationships are built on joy. You love that person who delights in you, who smiles at you, who has that joy for you. That’s lost if there’s a root of unforgiveness in your life. If you have Christ, He will give you the ability to forgive. You just have to humble yourself and let that pride go and say, Lord, when I can’t do it for him, God, I can do it for You. And You will produce that feeling of love again. Kirk: It’s very powerful for the person who is on the receiving end of that kind of forgiveness. Chelsea was able to forgive me for things that I could not fix or go back in time and change. Because of choices I had made that had broken her heart or shattered some trust. I had burned some bridges and I so badly wanted that to be behind us so that we could move forward. I did not want to be defined by decisions of my past. When she was able to forgive me, it took a huge weight off of my shoulders and allowed me to move forward, knowing that our best days were going to be ahead of us. I looked at Chelsea and thought, Wow! God is at work in her heart and I have married way up, and I want to be the man that God calls me to be. 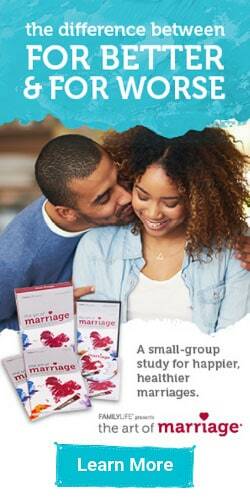 The first step toward a healthy marriage is having our hearts right with God—to be born again. We need to be in a right relationship with God. If you don’t have a supernatural transformation of the heart, it’s all going to be useless because you’re going to run out of steam and it’s not going to happen. It starts with the heart on the inside. It comes down to one thing: the cross. That’s the secret weapon to defeating the sin in your marriage, or in your life, and defending your relationship. It’s the cross—having an attitude of humility and repentance and saying, God, I have sinned against you. Would you please forgive me? You died to pay the price for my sin because I couldn’t pay that big of a price. I deserve hell and you’re offering me forgiveness. You’re offering me eternal life. When you go to the cross, you see a picture of all the love that you need to show to your spouse. You receive power to do it when it feels impossible. How do you love your wife when she is just so cold and bitter and removed and how do you love her when you feel nothing? Or how do you love your husband when he’s hurt you, when he’s broken your trust, shattered your heart? You do it the same way Christ loved you when you were unlovable and not worthy of His love. I’m not going to have the joy, I’m not going to love Kirk through thick and thin, if I don’t love Jesus Christ with all of my heart, because that’s where it all comes from. That’s where it all starts. ©2012 by Kirk and Chelsea Cameron. Used by permission. All rights reserved.